We’re all in a rush for the semester to be over. With the holidays around the corner, there’s nothing more exciting than the upcoming holiday spirits, with all the gifts and quality family time. Will Dad get you that Hermes scarf you’ve been nagging him about for the past year? What new delicious dishes will Grandma cook this year? Nonetheless, there are always things that are not so joyful about the holidays. How did you end up spending so much money on gifts when you were given the promise of sales by retailers? And how could we forget that annoying relative who fathoms at the fact that you couldn’t get into Harvard? Or Mom crying as to why you’re still not in a relationship. But no matter the family dispute or the cheesy Holiday flicks, there is nothing more annoying than the chaotic airports. The frenzied traffic and airport security make you feel like you’re in Mission Impossible. I remember the time that I was in such a rush to get to the airport in time that I forgot my passport at home, out of all the things one would forget (Murphy’s Law). I had no time to call a shuttle service and in desperation resorted to taking an unknown bus to JFK. I made it to the airport in time, but my luggage didn’t. Turns out that the bus had accidentally replaced my bag in the bus going to LaGuardia. I missed my flight and had to beg JetBlue to place me on their next day’s flight. Following this experience, I now always anticipate ahead of time and call in Super Shuttle, the only reliable and affordable method of going to the airport. 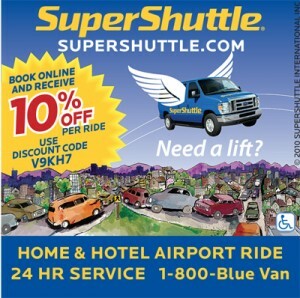 SuperShuttle will accommodate to your needs, and they even pick you up at home, and always ahead of time. Campus Clipper is offering a 10% discount on SuperShuttle rides. Campus Clipper knows students always travel and being so busy with the pressure of exams and grades, we can be forgetful. For this reason, call in SuperShuttle this holiday season. Finding a place to get a piercing in New York is a daunting task. The sheer volume of piercing salons in the city is staggering, and finding a clean, reputable place to get your body art done can be like finding a needle in a haystack. Horror stories of lost earlobes and infected eyebrows can steer anyone clear of getting pierced altogether. A jewel in its own right, Jewels 32 is the quintessential piercing parlor. Its cleanliness and pleasant staff immediately calm any nerves a potential pierce-ee might experience. Tucked into the exciting St. Marks Place, it would be easy to miss the little shop. The staff at Jewels 32 promise to provide “the highest quality of customer service possible” and offer a wide range of piercing possibilities. It’s quite comforting to know that the person who will be puncturing your body with a needle is a licensed professional, and Jewels 32 lives up to that promise. 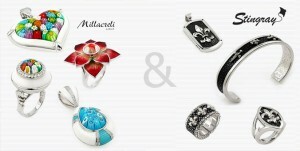 The jewelery is high-end and the piercings made in a clean, safe environment by people who have been trained to do what they do. And it’s not just piercings that Jewels has to offer– the wide selection of jewelery offered at the St. Marks hotspot isn’t limited to piercings. Jewels 32 carries a wide range of high-quality jewelery including bracelets, anklets, lockets, necklaces, and rings from reputable designers including Millefiore and Swarovski. I didn’t get a piercing during my visit to Jewels 32 (ears are enough for me! ), but if any of my friends wanted one I wouldn’t hesitate to send them to Jewels. It’s not easy to find someone you can trust with altering your body; it deserves a technician who takes the job seriously. Having experienced my fair share of indecent customer service in piercing salons and tattoo parlors, it was a breath of fresh air at Jewels 32.